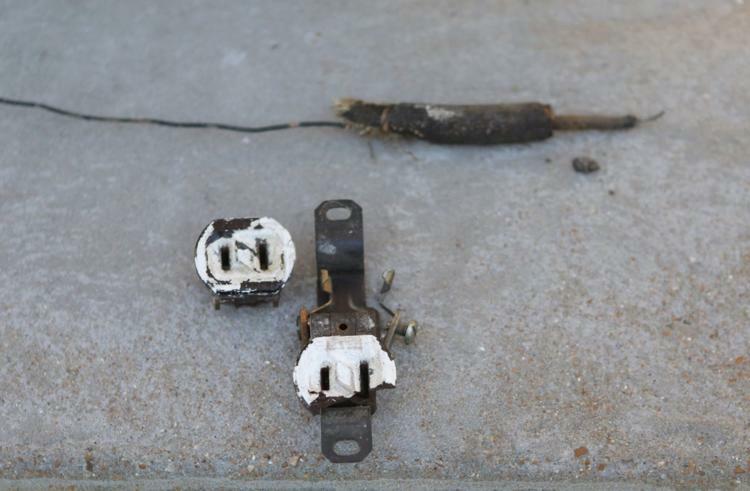 A faulty wire (top) and an outlet that were taken out of a home during repairs on the 3200 block of North Taylor Avenue Saturday, April 28, 2018, in St. Louis. The upgrades, which came at no cost to the homeowners, were part of an effort by 150 electricians from the IBEW Local 1 and 40 contractors from the St. Louis chapter of the National Electrical Contractors Association. Photo by Nikos Frazier, St. Louis Post-Dispatch. On Saturday, 50 houses got a jolt of electrical repairs that included new ceiling fans, panels, grounded outlets and motion lights. The upgrades, which came at no cost to the homeowners, were the work of 150 electricians from the International Brotherhood of Electrical Workers Local 1, and 40 contractors from the St. Louis chapter of the National Electrical Contractors Association. The workers met at their union hall early Saturday and fanned out through St. Louis and into St. Louis County to homes owned by people who can’t afford such repairs, and most of whom are elderly. The volunteer work was through the Electrical Connection. It’s a partnership of the two organizations that says it has donated labor and more than $850,000 in materials to improve more than 500 homes for low-income, disabled and elderly St. Louisans in the last 15 years. This program is comparable to the work of the organization Rebuilding Together, which repairs houses, or what are called "Housing Services" programs. 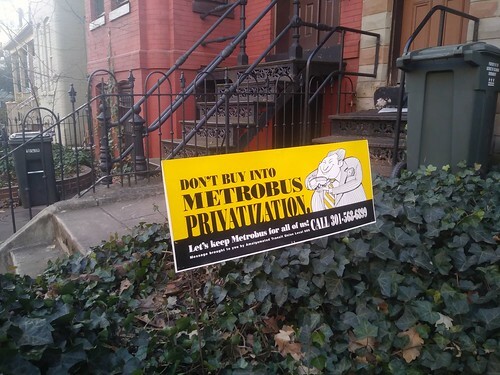 I think this effort by the "Electrical Connection" campaign is interesting and important because for so long conservatives and industrialists ("Richard Uihlein: Meet the GOP megadonor setting the tone for GOP primary races," Washington Post) have beat up on and excoriated unions. And the size of the unionized work force has been in decline for decades. 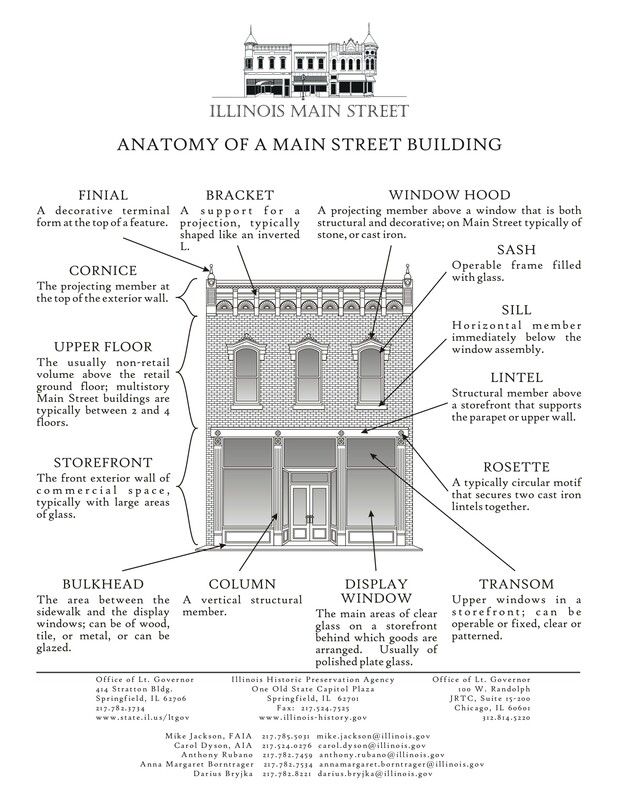 This is a way to show bothers how unions can and do benefit, others both directly and indirectly. It's something I think about a lot about transit workers, who tend be unionized. In customer facing roles, many transit workers are amazing. But also many are not. And I always find it funny that transit unions ask for our support when it comes to their contracts, while often as workers serving riders they do stuff that shows minimal respect for the transit rider ("It's a bad idea to treat customers badly and then turn around and ask for their support: transit union workers edition," 2013).